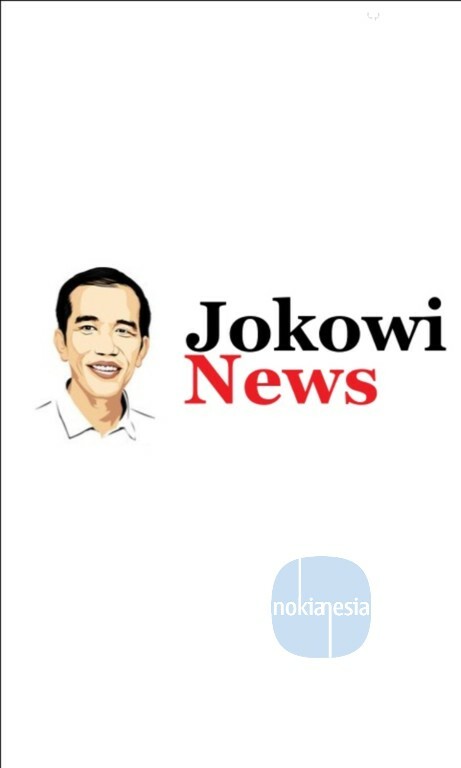 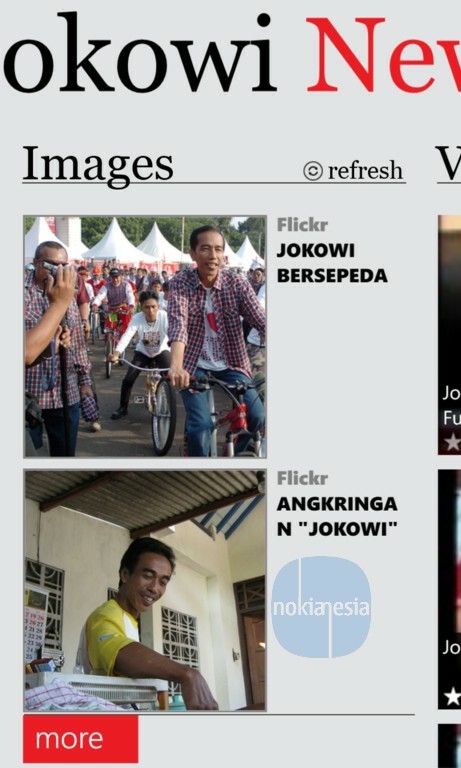 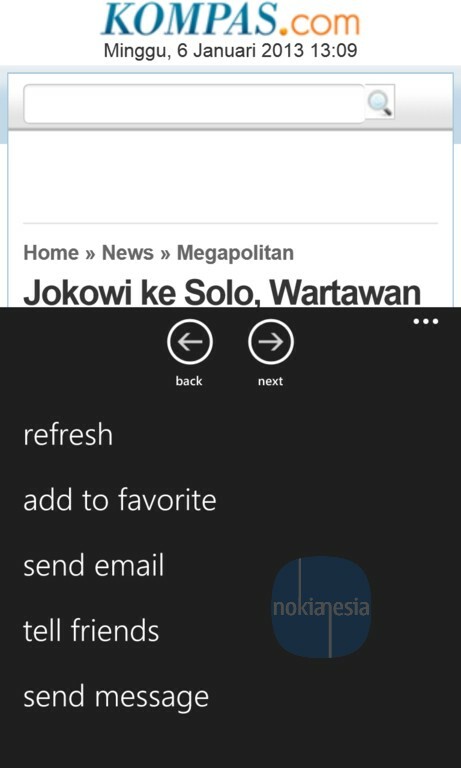 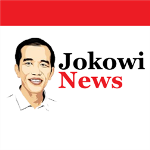 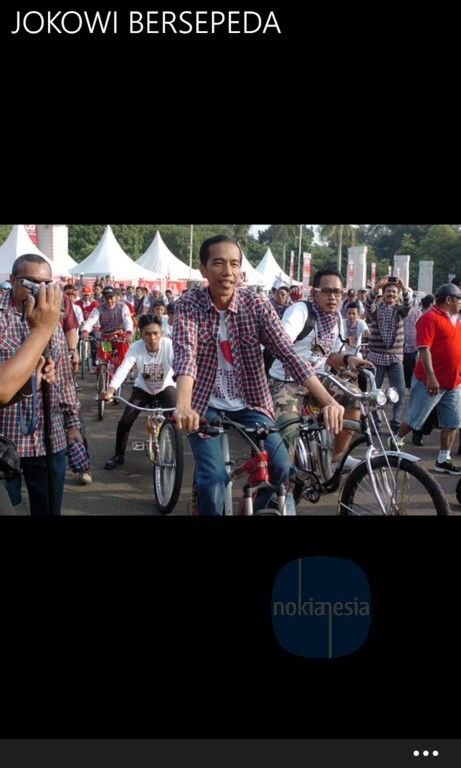 "JokowiNews" is an application for Nokia Lumia with Windows Phone 7.5, 7.8 and 8 that provides the latest news, pictures and videos of Jokowi Dodo (Governor of Jakarta, The Capital City of Indonesia). 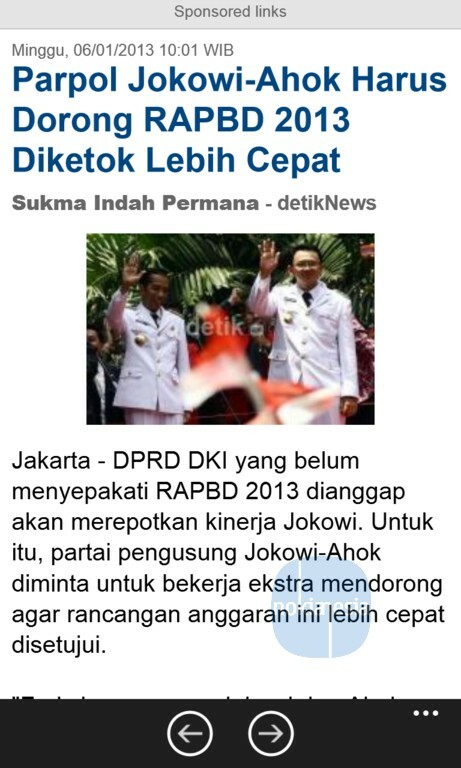 Almost all of the contents on this application are using Bahasa Indonesia. 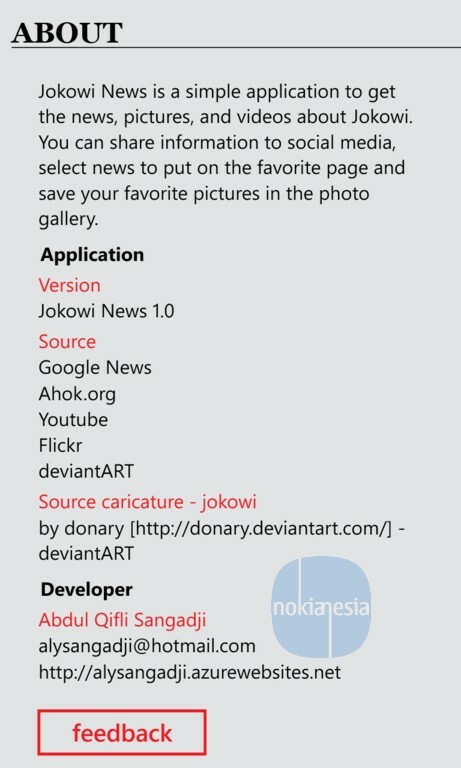 Grab this application at Windows Phone Store for free.